Since the groundhog saw his shadow earlier this February, winter hasn't left our presence. Most people start planning their run training soon after the new year, but given the absurdly-cold temperatures, incessant snow, and painful wind chill, it's been nearly impossible to keep momentum. Instead of stressing about your lack of running, why not take advantage of some of the industry's coolest indoor cardio workouts that will promise to release those endorphins? Indoor Cycling -- Gyms and boutique studios have been working hard to diversify the popular "sitting on a bike." A 45-minute spin class could burn on average of 350 calories but as much as 500-600 calories depending on how hard you work. Bonus: Many of these spin classes are have moved away from a traditional endurance ride by including an arm strength component. Studios such as Swerve in NYC have even added a competitive element by introducing teams. Rowing -- A 45- to 50-minute rowing class can burn upwards of 700 calories, which is twice as much as spinning. Since rowing requires proper form, every stroke requires you to work your entire body -- pretty much every single muscle group. Gyms such as Equinox have introduced group fitness classes involving the row machine and boutique studios such as City Row and Throwback Fitness in NYC, RowZone in Philadelphia, and RowFit Chicago are growing in popularity. Jump Rope -- Jump Roping for as little as 10 minutes has the potential to burn about 100+ calories. The jump rope is an easy "no excuses" home or travel workout option, happens to cost less than $10 and is super fun when you add different tricks. If you want a little more than just a basic jump rope, check out Cross Rope. 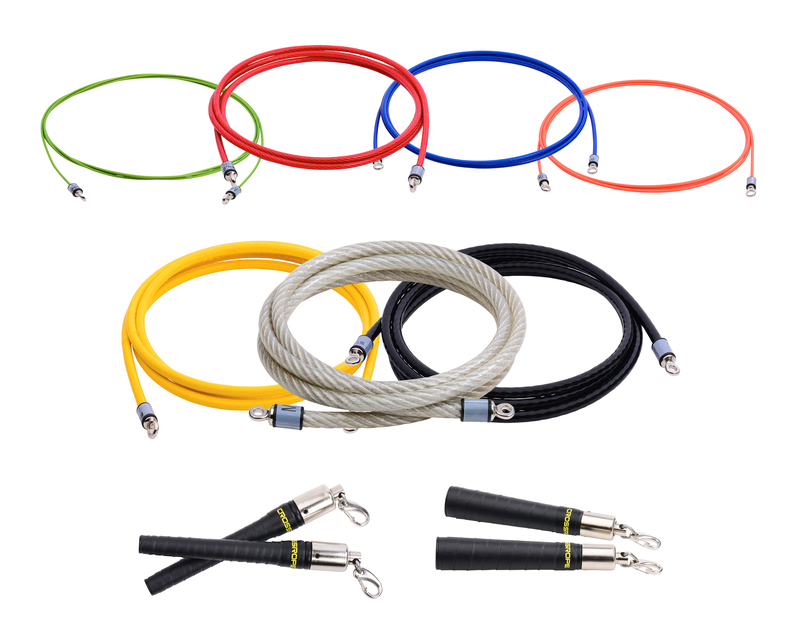 It is a cool interchangeable weighted jump rope system that is appropriate for all levels. 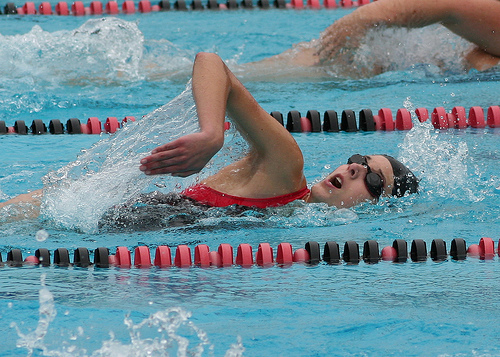 Aquatic -- Training for a triathlon? At least the swim part can be done indoors! Swimming laps for approximately 30 minutes burns between 250-350 calories (depends on the intensity), provides a total body workout, and is easy on the joints. Pools are available at most YMCAs and recreation centers. In reality, cardio can be achieved by using the simplest of equipment such as an elliptical, stepper or a stationary bike. However, these options add a lot more FUN to the traditional workout routine.